People who have obtained permanent residence in Canada will be issued Permanent Resident Cards (“P.R. cards”) valid for 5 years. Permanent Resident Cards are important because they are travel documents that will allow the permanent resident to return to and enter Canada for as long as they are valid. 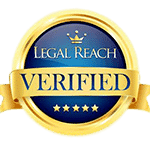 These cards can be renewed continuously provided the permanent resident has met the residency requirement. 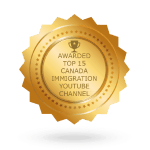 In this regard, it is a requirement of Canadian immigration law that permanent residents physically reside in Canada for at least 2 years out of every 5 in order to maintain their permanent residence. Therefore, a Canadian permanent resident can spend up to 3 years out of every 5 years absent from Canada and still maintain their residence. How this 3 years is divided up within the 5 year period is irrelevant. As long as the permanent resident lives in Canada for at least 2 years within the 5 years prior to an application for a new card, then they will meet the residency requirement. However, if a permanent resident remains outside Canada for more than 3 years in a 5 year period, then they risk losing their permanent residence. There are some exceptions to the 2 years in 5 rule. If a permanent resident is outside Canada accompanying a Canadian citizen who is their spouse, common-law partner, or parent, then this time counts as being resident in Canada. Also, if a permanent resident is employed outside Canada by a Canadian business or the Canadian federal or a provincial government, then this time counts as though they were resident in Canada. In the instance of permanent residents employed outside Canada, their accompanying spouses and children will also have the time counted as though they were resident in Canada. As long as a permanent resident card is valid the possessor can return to Canada and will be presumed to be a permanent resident on entry. When it comes time to renew the card, however, a permanent resident must make an application describing their travel history in order to demonstrate that they have met the residency requirement. If the immigration authorities are satisfied that the applicant has met the residency requirement, they will issue a new card valid for a further 5 years. The processing of P.R. cards can be expedited in the event a permanent resident needs to travel immediately. In the scenario where a permanent resident needs to renew their P.R. card but has not met the residency requirement, and does not fall into one of the exception categories, the application to renew the card can be made on Humanitarian and Compassionate grounds, by explaining the extenuating circumstances why the permanent resident was not able to meet the residence requirement. If the immigration authorities are satisfied that there are sufficient Humanitarian and Compassionate grounds to justify renewing the P. R. card, they can renew it even though the permanent resident has not met the residency requirement. Humanitarian and Compassionate grounds are mitigating factors that demonstrate the permanent resident has a compelling reason why they were unable to remain in Canada for at least 2 years out of 5. For example, remaining out of Canada in order to care for an elderly or sick relative could be a humanitarian and compassionate factor. The immigration authorities will also consider the best interests of any child affected by the decision as being a potential humanitarian and compassionate factor. In each case the individual facts will be considered and the decision-maker will make a subjective judgment as to whether the explanation offered is sufficient to overcome the failure to meet the 2-out-of-5-year residency requirement. Where a permanent resident has remained outside Canada and their permanent resident card has expired, they may apply for a travel document to allow them to re-enter Canada. The permanent resident will be required to describe their travel history. If the applicant has not been able to meet the residence requirement, and does not fall into one of the exception categories, they can apply to keep their permanent residence and return to Canada on Humanitarian and Compassionate grounds. Once inside Canada the permanent resident can then apply to renew their P.R. card. If a permanent resident applies to have their permanent resident card extended and this application is refused, they may appeal to the Immigration Appeal Division of the Immigration and Refugee Board within 60 days. Similarly, those who apply for a Travel Document and are found to have lost their residence may also appeal within 60 days. The Appeal Division will hold a hearing to decide if the decision to take away the appellant’s permanent residence should be allowed to stand, or if it should be overturned. The Appeal Division may consider both the legal basis for the appeal and the Humanitarian and Compassionate grounds related to the appeal. The appeal will be held in Canada and the appellant can provide new evidence in support of their case and can testify before a judge. Where the appellant is outside Canada such testimony may be done by teleconference. If the Immigration Appeal Division decides to grant the appeal then the appellant will be permitted to retain their permanent residence and can obtain a new P.R. card. If the Immigration Appeal Division denies the appeal a further appeal to the Federal Court may be made. Travel documents to Canada can be obtained by those appealing the revocation of their permanent resident status where they have been in Canada at least once within the last year, or where the Immigration Appeal Division determines that their presence in Canada is necessary for their appeal. 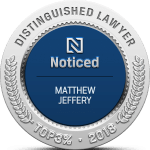 The Law Office of Matthew Jeffery, Barrister & Solicitor, has years of experience assisting clients with all types of matters related to Permanent Resident cards. Please contact us if you require our assistance or further information. How do I renew my permanent resident card? How long will I have to wait before I receive my PR Card? What happens if my permanent resident card expires while I am outside Canada? Am I Still a Permanent Resident if My PR Card Expires?